We are delighted to inform you that the Hex radiator has been awarded a prize in this year’s edition of iF Design Award. The prize was awarded in the main category Product, sub-category Building Technology. iF International Forum Design GmbH in Hanover is the awarding body of the iF Design Award. It is the oldest, independent German organisation that supports designers and promoters of the World design. This year’s edition saw 5575 entries from 59 countries. During a three day session, a jury of 58 independent critics from all over the World, chose the best projects in 5 categories. iF Design Award constitutes the quality and exceptional design. We are delighted that our product was awarded the prize this year. Design and quality at the best price have been Terma’s main priority and the hallmark for over 25 years. 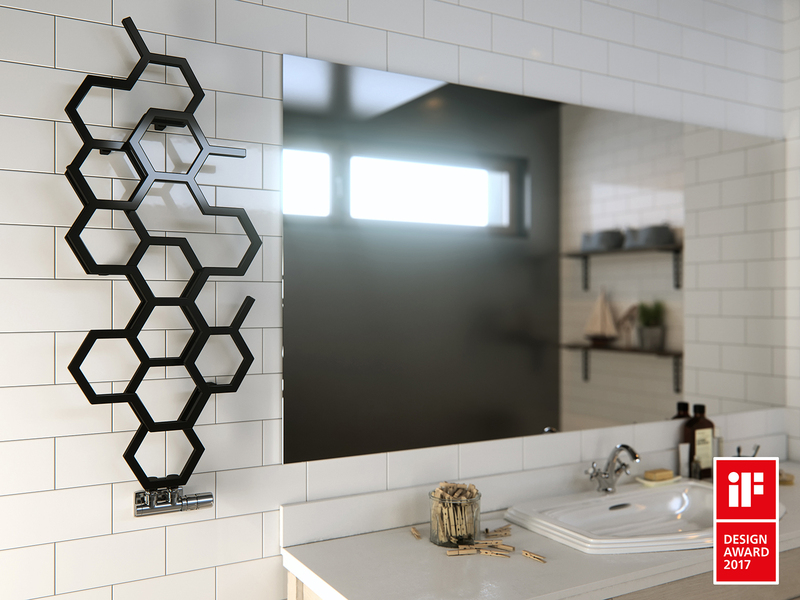 The HEX radiator concept has been inspired by the irregular structure of tissue growing on the walls in a seemingly uncontrollable way. Hexagon modules offer considerable possibilities in terms of modifying the shape and size of the radiator reflecting the user’s needs. The points where the geometry breaks can offer an additional function of hangers. Due to the double layer character of profiles, the radiator is not only a curious contour on the wall, but gains an additional dimension and becomes a unique feature in the interior. HEX designers are Terma’s employees, Renata Piołunkowska and Jakub Jakubowski.